Here’s the thing Universe. Whether you acknowledge it or not it’s time to cut this family a break. We have remained collectively upbeat this past twelve months despite some really nasty life changes I won’t go into here, plus the chaos of our house almost burning down and the four months of repairs that ensued. We have been really, really mature. I probably brought this on us by allowing myself to breathe a sigh of relief this fall when things were looking up. You see, I relaxed my vigilance with autism and its never-ending surprises, and that’s when catatonia came to call. You got me universe. With the onset of puberty I was gearing up for seizures and renewed aggression. I’d never even heard of autism-related catatonia. But here’s the thing universe. This family has weathered Justin’s aggression, insomnia, refusal to eat, eating too much, extreme OCD, refusal to potty train, and probably a host of other issues my very tired brain has blocked out to survive. Each time, Jeff and I sucked it up and went at each issue with a many-pronged approach, employing behavioral techniques, using medicine when necessary and being vigilant in our efforts to help our boy. The truth is universe, it gets more difficult for us every time because we’re older, which doesn’t bode well for us since we’re looking at at least another decade of full-time care of our son, and probably much longer than that. It’s been eight months since Justin’s symptoms started, and the irony of it all is we’ve consulted four different practitioners, and there have been five different diagnoses trotted out for him (yes, I said five). Of course, just to keep things fun, these five different diagnoses all have completely different treatments, so I anticipate if things don’t improve for Justin, trying everything out could take until he’s twenty-five. Okay, maybe another year, but it will FEEL like he’s twenty-five. It’s been a long eight months, universe. The thing is this thing he has, whatever it is, is a game changer. I’m not sure he won’t get kicked out of camp because of it. I worry no twenty-one plus program will take him with it. If his symptoms progress I worry about his residential care, because at some point dear universe, Jeff and I will need someone to take care of us, and I can tell you right now that someone won’t be our eldest boy. In other words universe, this is a big freakin’ deal. We’re making some changes with him medically, and I’ve been told both that the symptoms can go away or at least go into remission, so we do have hope. We’re doing every suggestion that’s been made to us (like we always do), so universe, I’m asking you to come to the table and do your part. Help my son. It just can’t be that hard. I hate whatever the hell it is that he has. When he’s in an episode, he is robbed of all joy in his life. When he’s not in an episode, he is the happiest, loveliest child ever. I want him happy, healthy and whole. I want him to be able to enjoy the summer, this season that he loves so much. I want to see him smile. I know most people view December as “the big cahuna.” This is the time where New Years resolutions are made (and subsequently broken), and people look back on the year that has just passed and figure out what they can do to make the next year a better one. I have to admit the optimism I always have for the impending year usually outweighs my sadness at leaving the current one behind, the knowing that I’m twelve months closer to the “great beyond” no matter how much kale I consume. I’ll tell you a secret. Kale won’t help my longevity. I don’t eat it very much. The June endings are of course tempered by the knowledge of an imminent summer, and I am a summer girl. One of the many glories of being a teacher was having those summers off (now I work harder in the summer schlepping my kids everywhere than I do when I actually work during the school year), and I reveled in that time to recharge, kick back and relax. When I taught there was (usually) some sadness as I said goodbye to my students, particularly when I taught sixth grade and knew they would be scattering all over Fairfax County. I’ve never been really good at goodbyes, and some years I admit to some collective tears being shed amongst me and my students (okay, just the girls) at our impending separation. Still, I knew there would always be another year of connections to be made, and I knew “my kids” were moving on which was a good thing. Did I mention also how much I love summer? Zach and I have a big ending coming up next week as he moves on to middle school. Over the past few weeks I’ve chatted with other moms saying goodbye to Midstreams as their last child moves on, and we are all having a hard time with it (one mom and I decided we’d probably have to be escorted out of the school after graduation). Since I’m not the “transition queen” I will probably be a mess next Wednesday, with my husband offering me tissues and not completely getting what all the fuss is about (but honey, it’s about all the friends I made while volunteering too! ), but I will get through it. As I mentioned in my last post, it’s time to man up and be brave. The truth is, however ambivalent I’ll be at leaving the Midstreams cocoon next week there are threads of joy woven throughout this sadness, my sense of loss tempered by the knowledge that my boy is growing up well, that for him every ending is just a new beginning. My youngest has done well at school, has friends, has participated in clubs and activities that held meaning for him. My fingers are crossed that his next seven years will entail more of the same, and I have every hope he’ll weather any hurdles, will continue to stretch himself both academically and socially. The world is literally that kid’s Jersey shore oyster. And I can tell you all now I want exactly the same for my severely disabled son too. My son Justin is fifteen years old, has severe autism, OCD, and just recently landed himself a diagnosis of autism-related catatonia, which quite honestly has been a game-changer for a family who thought (hah!) we had the disability thing somewhat under control. He is in a wonderful school placement, one I will literally do anything (yes I mean it) to keep him in for the next few years until he graduates at twenty-one. Hopefully his big ending won’t occur for the next six years, because truthfully his mama needs that much time to deal with it, and I’m hoping to have a plan in place for him that will somewhat echo the previous fourteen years (my nickname for his school is “Disney,” they’re just that good). What happens after twenty-one you might ask? Well, I’ll tell you readers, that is literally the million dollar question. Justin’s school actually has an after twenty-one program housed on their campus, set in a building Justin’s been going to for years to work out in and learn life skills. My boy loves his routines, and I know in my heart we have a greater chance of him making the transition from school to adult program if he is familiar with his surroundings. I’m envisioning the possibility he might try to “escape” to his old haunting grounds if he’s so lucky to be accepted, but in the end Justin is a rule follower, and I know he’ll eventually get that that part of his life is over, that a new chapter has begun. There are many factors that will go into deciding whether he goes there- what kind of budget I’ll get from the DDD, whether or not there are any openings, how Justin is behaving at that time in his life. Nothing in life is guaranteed, but I know without a doubt that he would love their program, that it is his best chance at having an adult life outside of our home, which I deeply wish for him. And being totally honest, I wish it for me as well. Years ago I made a mental shift regarding Justin. I stopped wanting the trappings of what I considered a “normal life” for him, and made the adjustment to wishing he’d simply lead the best life to suit his needs. I let go of wanting the things I expect will take place in Zachary’s life- college, a job (yes please! ), his wedding (can’t wait I will be a nice MIL), and hopefully a lovely social network for my boy. Instead I focused on getting Justin what he actually needs and wants in his life, which are not any of the things his brother will want for himself. That shift, that realization that Justin could lead a happy life completely different from that of his sibling profoundly changed my outlook on his life. It made Justin’s endings and beginnings seem as potentially bright as his brother’s. I can’t wait to see what will enfold for both of them. I know until my dying breath I’ll be plotting and planning for Justin ( I once mentioned something about his “eighty years on earth” in an IEP meeting and was met with a few blank stares),and I hope I can craft as fulfilling a life for him as the life my youngest will undoubtedly craft for himself. So here’s to endings, and the burgeoning possibilities they bring with them. And here’s to new beginnings- may they be bright for all our children as well. If you’re reading this in your voluminous amounts of spare time, perhaps your son has just been diagnosed at the tender age of two and you’re overwhelmed by where to go next. Maybe your teenaged daughter, whom everyone assured you was just shy, is now sporting the ASD label. Perhaps after years of therapy and (literally) your blood, sweat and tears you are realizing your little boy is destined for the more severe end of the spectrum, despite all your efforts. Maybe your son is aging out of his school entitlement, and your world is now consumed with SSI and guardianship and praying like hell that day program down the road will not only take him so you can work, but that your boy be willing to stay. Perhaps your child has just hit puberty- enough said. A lot of “maybes” here, but I’m certain of one thing- you are very, very tired. Maybe you’re not going through a major milestone, but instead trying to figure out how to get him to eat, to sleep, to leave the house without screaming, to stop pinching you every time you need him to make a transition. Perhaps you’re trying to figure out how you can convince a sitter to stay with your five-year-old so you and your significant other can remember why you got married in the first place. Maybe on top of autism and OCD and anxiety your girl has just received another co-morbid diagnosis, and you’re trying and failing to summon up the strength to educate yourself once again on yet another disorder. Perhaps you just want to scream every time someone tells you they don’t know how you do it, as if you had a choice. Fifteen years ago this week my husband and I began our own “autism rollercoaster” when our beautiful son Justin was born, a much-wanted and longed for baby. I would start to have concerns about his development when he was just six months old (he hit his milestones but spun everything in sight), would have those concerns validated at seventeen months when he received his PDD diagnosis which would morph a few months later into a plain old ASD label. Five years later our eighteen-month-old son, who unlike his brother had developed typically until then, would regress before our eyes after two back-to-back illnesses, losing his speech, developing a rash all over his body, and most significantly losing the very spark that made him who he was. 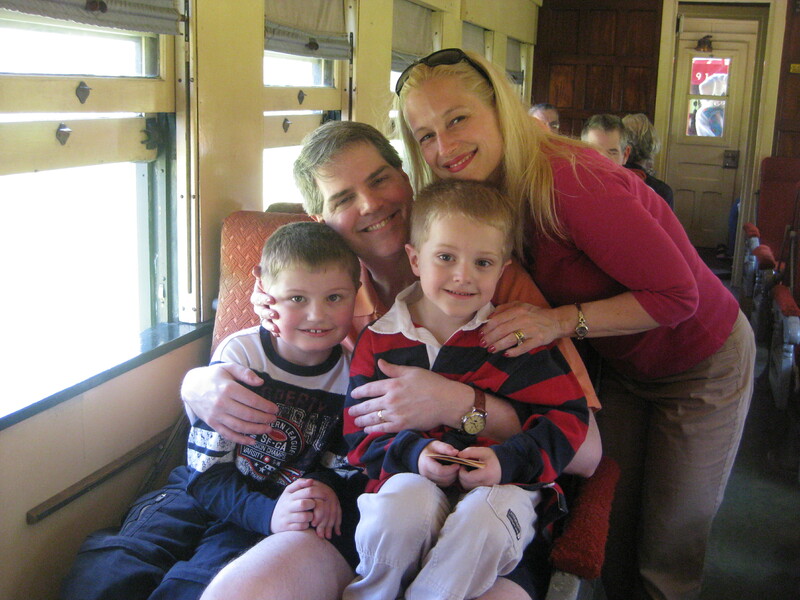 Over the last decade-and-a-half we have seen our boys labeled with autism, OCD, ADHD, and most recently for our eldest, catatonia. We have endured insomnia, refusals to eat, binge eating, anxiety, and aggression. Having been in the trenches so to speak for the last decade-and-a-half I will share with you that at times I have been depressed because my boys suffered, have been angry at their suffering, and riddled with anxiety over whether I’d ever figure out how to help them be happy. For years at a time I put my own needs on the back burner, living from one potty training incident to the next, measuring my happiness based on how much each child had slept the night before. I had given up my much-loved career when our eldest was diagnosed, and subsequently the boys became “my job.” Quite honestly, their needs consumed me. It took me many years to realize that sometimes I needed to put my needs first. Finally, one day I realized that with both boys our challenges came in cycles. Often we would have periods where things were calm, the boys were happy, and our home life resembled some sort of normalcy that I’d never thought we’d achieve. Of course, you’d think I’d be able to revel in those periods, “the space between” I’d come to call them. What I eventually realized was this. This autism gig was here to stay. These cycles would be my constant companions until my dying breath, which hopefully was many, many decades away. No matter how educated I was, how diligent I was, and how good a mother I was, I could not change this incontrovertible fact. The only thing I could change was me. It’s been about three or four years since I stopped “dealing in dread.” When one of my kids is suffering, I admit I am not good at compartmentalizing their suffering- I don’t think I ever will be. What I have learned to do is in those calm, quiet periods (and I can’t promise you, but I believe you will have them) is to grab onto life with a tenacious grasp, to take care of myself, to actually have fun. I make those doctor appointments I’ve been putting off for six months. I have lunch with a friend I haven’t seen in a year. I troll everyone I know to help me find a sitter competent enough to stay with my boys so my husband and I can get some relief. As much as I can, whenever I can, I try to relegate anxiety over the boys’ collective happiness to a shelf somewhere in the remote recesses of my brain. I do this for them, because a happy mom is a more competent mom, and they need me to be that for them. But I do this for me as well, because I deserve to have a life too. So this Mother’s Day, and every single day that you possibly can, carve out some time that’s just for you, for your happiness. Perhaps it’s a night out with the girls. Maybe it’s fifteen minutes in the tub while your husband handles the kids. Maybe it’s just a really good and well-deserved glass of wine in a quiet place. Chocolate helps too. Try, as much as you can, to find happiness in the space between. His “eees” resound throughout the living room, punctuated by small silences that make me look anxiously toward him and gratefully away as I realize they are just silences, not episodes of catatonia which invade his happiness and enjoyment of life. Since we started a new medication eight weeks ago we have seen a vast improvement in quelling his disorder, starting with near-miraculous eradication of the spells for two weeks, a plateau where they resumed but not with their initial ferocity, and a leveling out that both his school and family can live with on a daily basis. It has been an incredibly stressful six months of first having to diagnose him, choosing between conflicting diagnoses, and then holding our collective breaths and hoping we picked correctly and treatment would help him. It did. And a half a year and two very tired parents later, we are profoundly grateful. Justin is almost fifteen, and to tell you the truth I anticipated that going into puberty there would be something (all my friends’ kids have experienced some additional challenge to their severe autism), but honestly, I never thought it would be this. I anticipated aggression, or seizures, or even self-injurious behaviors which he had never exhibited previously, but not catatonia. Frankly the only time I’d ever heard of it was in relation to the movie “Awakenings,” which was a total tear-jerker and sad as hell. I read a lot about autism on various websites, and I was stunned I’d never heard of this disorder that affects between 12-18% of all individuals on the spectrum. You’d think I could say the other shoe has dropped. 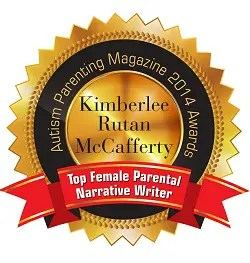 But with autism, and especially with severe autism or any severe disability, it ain’t over ’til it’s over. 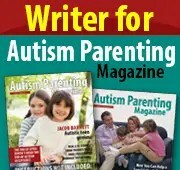 This year I’ve dedicated my writing for Autism Awareness Month to helping caregivers. I’ve spoken about getting the help you need, whatever that may be. I’ve written about the importance of making friends with parents of children with your child’s level of severity. Today I want to talk about how important it is to let the people in your life know the big picture, especially if your child will never live independently and will always need your care, or that of a caregiver. For years my husband and I didn’t talk about the long-term implications of Justin’s severe disability. I think we kept things close in part to not worry people, and perhaps somewhat out of a fear that if we were “Debbie Downers” people would abandon us. I’m not a big believer in regrets, but if I could go back and change a few things I would have spoken more about the potential and likely trajectory of Justin’s life, just so the people who are important to us could get a glimpse of what his forties, fifties, and beyond will probably entail. For once I recently took my own advice (a miracle!) and wrote a long email detailing Justin’s newest disorder, the various treatments he might have to endure, and even worst-case scenarios. I even explained how having catatonia could severely affect not only his post-twenty-one life, but his parents’ lives as well. I laid it all out there, held nothing back. And damned if almost everyone responded with kindness and concern. Of course this response rate is a testimony to having understanding families and my choosing good friends, but this disclosure helps in a myriad of ways. It’s also a dozen or so less times I have to spill my guts and try to make people with no direct contact with severe disability understand how profoundly this affects my family both now and in the future. If I have to cancel a get-together I don’t have to explain what’s going on, or discuss why perhaps I’m just completely overwhelmed and can’t make it that day. This understanding of our situation can help prevent relationships from disintegrating, and help others understand why my stress levels the last six month have been through the roof (my new blood pressure medication can bear witness to that). Quite honestly, it makes it easier for me to ask for help if I need it, as once people get the huge ramifications of what Justin’s experiencing they will probably come to our aide more often if we ask. And God knows, we can all use a little help sometimes. I don’t tell everyone the full story. I am careful in who I choose, selecting individuals I know will care and be genuinely interested in what’s going on. Good friends, yes. My dental hygienist in my thirty seconds of speech- not so much. I try to avoid people whom I know will get that glazed look in their eye when I speak about my son. It’s not worth the trouble. You will find probably find however that a number of people in your life are genuinely interested in your family’s story, and I recommend you divulge away. Let people know what autism means for you on a daily basis, not just how it affects your hopes for your child, but your daily routine as well. If disclosure leads to them asking if they can help, give it a try and let them. Honestly, if they drop you like a hot potato after you disclose they would have abandoned ship eventually anyway. It’s better to cut ties sooner than later. With many types of autism, there exists the perennial “other shoe.” For my family, the worry will never be over as I strive to outlive my son and know I never can (but I’ll give it my best attempt). If I’ve learned one thing in my decade-and-a-half living with an autistic child it’s that there will always be something, and it may not be pretty. Lighten your load if you can. Speak up when it’s appropriate. Try to loosen your grip a bit on that other shoe. It is the first day back after spring break, and I am reveling in the absence of sound, the dearth of requests for juice/snack/world peace (okay, maybe not the last one, but it felt that way sometimes). Both kids are healthy and safely at school, and maybe their mommy can begin to dig out after the last three weeks. Spoiler alert- if I put the last twenty-one days on a tv drama it would be canceled for its absurdity. My trials began two weeks before break with my husband traveling, during which of course we had a snowstorm (thank God for good neighbors with snow blowers!). After a calm weekend I got a call on Monday from my youngest son’s school saying he had stomach pains, forty-eight hours before he was supposed to perform three times as Gaston in the school play. There ensued two trips to the ER in six hours (no, not appendicitis, which I think they could have checked for the damn first time), and an emergency call to my mom to sleep over and take care of Zach the next day. Six hours after my husband got home from the ER we were in a car to Baltimore for a round trip to see a catatonia expert we’d waited two months to meet. The next day my boy rallied and performed his heart out several times, and the following day his elder brother and I took a seven hour round trip to see his neurologist. We capped it all off by starting spring break with Justin catching a stomach flu and living in the bathroom for three days, with a spectacularly violent episode (I’ll spare you the details) on Easter morning. I know. I couldn’t make this all up if I tried. After Justin lost about five pounds and finally rallied we had our first “healthy/calm” day in almost a month, and my body rebelled. I haven’t been able to nap since my thirties (more than a few years ago), but the day after Easter I found myself stretched out on our couch almost all the way into slumber, to the point where Zach felt he had to hold his hand up to my nose to see if I was still breathing. There’s not a lot of “alone time” when the kids are around. The truth is my body just collapsed, and it took me several days to recover. I find this to be immensely annoying, as for decades I was always the girl who if she got a half-decent night’s sleep could keep going indefinitely. I know, welcome to aging. For once, I listened to my annoyed body and took care of my needs. The kids spent most of their vacation at home, Justin on the computer and Zach reading and watching movies with me. Of course the weather sucked which helped in my decision, but we probably could have squeezed out a day at the boardwalk or at Great Adventure. We didn’t. They were fine with it. I got (most) of my mojo back. And it all reminded me how important it is for all of us caregivers to take care of ourselves, not just our kids. This sentiment is not just limited to caregivers of autistic children by any means. We are a generation of parents burning the candles constantly at both ends, ever accessible to everyone with our smart phones, with a lot of pressure to do more and more for our kids. Often I’m simply overwhelmed by the sheer logistics of it all, and don’t have time to even contemplate the more daunting aspects of our lives with a severely autistic teenager. Sometimes I forget to recharge, and it always comes back to bite me, either with my falling sick or lacking patience or losing sleep over thinking about what I have to do the next day. And for those of us contemplating lifetime care for a child or children, the stakes are even higher and much more complicated. This is autism awareness month, and as much as I am utterly and completely aware of autism and how it affects my kids, I am also aware of how it affects me and my husband. It is imperative that we take breaks sometimes, recharge, remember who we were before autism and children came to call. I know some of you are probably thinking “how the hell can I do that when I can’t leave him/her with a sitter”. I was at that point many years ago when Justin was younger and so intensely difficult, but we kept persevering, and eventually our hard work paid off. We did find one or two brave beings willing to watch our boy no matter how challenging he became, and my husband and I would get out and have a few hours of normalcy together where we could reconnect, and oh my God, have fun. Getting help is imperative to your physical, mental, and emotional health. Don’t stop trying until you find someone who can give you that break. Whether your child is just getting diagnosed or is approaching puberty, caretakers’ needs are the same. Sometimes dealing with an autistic child is absolutely grueling. We caretakers have to attend to our needs so we can be the best parents possible for our children, but also, and I feel this message often gets lost, because we deserve to be happy and live our best possible lives too. Keep trying to find that person who can handle your kid for a few hours. Any time someone offers to help take them up on it, even if you’re nervous about it. At the worst you’ll get a few hours off from parenting, and at best, you might have found someone willing to come back. Keep trying. You and your sanity are worth it.